Despite sudden UK political developments delivering a shock to markets during Monday’s Asian session, the Pound Sterling to Euro (GBP/EUR) exchange rate saw limited movement by the time European markets had opened. Last week’s UK data and Brexit jitters caused volatility in GBP/EUR. After opening the week at the level of 1.1296, GBP/EUR hit highs of 1.1363 and lows of 1.1278 before ending the week at the level of 1.1309. When markets opened on Monday, news that the UK Brexit Minister had suddenly resigned briefly shot the Pound to Euro exchange rate to a high of 1.1345. This was due to market hopes that the resignation of a pro ‘hard Brexit’ minister would boost the chances of a softer Brexit. However, as investors digested the news, uncertainty quickly set in and the Pound to Euro exchange rate trended closer to the week’s opening levels again. David Davis, the UK Government’s Secretary of State for Exiting the European Union – or ‘Brexit Minister’ – resigned from his position late Sunday night. As one of the UK cabinet members that more strongly supported a ‘hard Brexit’, the news briefly boosted market hopes that he would be replaced with someone who supported a softer Brexit. This led to a brief jump in Sterling (GBP) support. However, as the news of Davis’ resignation set in the Pound was sold again as uncertainty grew. Political analysts have said they expect at least one more resignation to follow, and others have speculated that a government leadership challenge could be imminent. 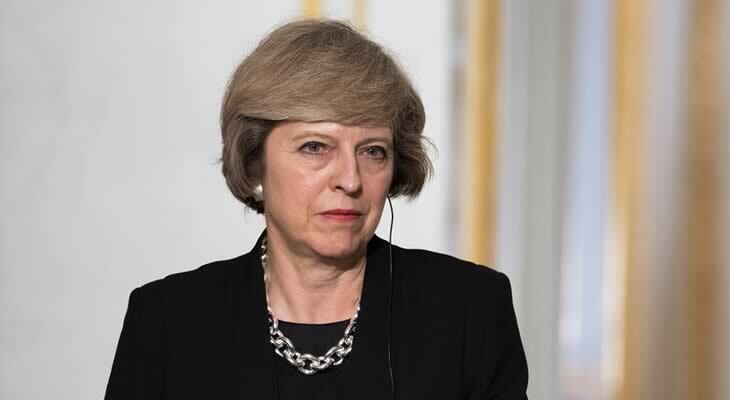 Whether there are merely changes in the cabinet, or the potential of the Conservative Party being thrown into crisis with a fresh leadership challenge, there is currently high potential for the government to see some big changes. Essentially, this broad uncertainty is keeping pressure on the Pound today. However, Sterling has avoided further losses too, due to generally solid bets that the Bank of England (BoE) will hike UK interest rates next month. Despite broad concerns about how US trade protectionism and a trade war between the US and China could negatively impact major economies around the globe, including those in the Eurozone, the bloc has thus far been showing resilience. Monday saw the publication of Germany’s May trade balance results, which indicated that German trade was still strong even despite trade uncertainties. The key trade balance print did slip to €19.7b, but the seasonally adjusted figure unexpectedly improved to €20.3b from €19.0b. On top of this, German exports were much stronger in May than forecast. Exports were forecast to have edged higher to -0.75% month-on-month, but instead jumped from -0.3% to 1.8%. Overall, the data indicated that even in the Eurozone’s biggest economy there was still no major negative impact from the US trade tariffs. It kept the Euro (EUR) supported. Amid the resignation of UK Brexit Minister David Davis, it’s certain to be a week of politics and Brexit developments in focus for the Pound to Euro (GBP/EUR) exchange rate. Investors will be keeping a close eye on any potential changes to Britain’s government, including how this may affect the tone of Brexit negotiations or even the leadership itself. There appeared to be no immediate threat of a no confidence vote or leadership challenge towards UK Prime Minister Theresa May, but such an outcome would worsen hard Brexit fears and weaken the Pound considerably. On the other hand though, if Prime Minister May is able to reshuffle her government cabinet in such a way that makes a soft Brexit seem more likely, the Pound may actually benefit. Of course, influential UK data due for publication on Tuesday has the potential to impact Pound trade too. Most of the week’s notable UK stats will be published on Tuesday, including UK trade data and production. ZEW’s Eurozone economic sentiment figures for July will be published too. However, the most influential report due on Thursday will be Britain’s May Gross Domestic Product (GDP) report. It will be the first monthly growth figure, following the recent switch from quarterly figures. If is the report this week most likely to influence Bank of England (BoE) interest rate hike bets and the Pound to Euro (GBP/EUR) exchange rate outlook. Previous ArticlePound US Dollar Exchange Rate Forecast: GBP Climbs as Tariffs Take Effect, But Will US Jobs Report Prompt Rally in USD?